Have you Lost Keys or misplaced them? If you accidentally misplace your keys it can be a very worrying situation to be in. Your home security is valuable and you could need immediate access to your home which is not readily available. Access Denied deal with this situation on a regular basis and have a team of fully insured and trained staff ready to help you regain entry to your home. Our team will use a non-invasive solution to regain entry for you and then they will offer to change your locks so your secure providing you with new keys. 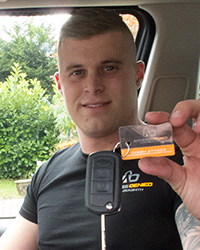 Access Denied Locksmiths are fully checked and accredited our team of professional high quality nearby locksmiths can help you get solutions within 30 minutes of us receiving a call. All staff are AKSI fully checked and vetted. Our team will show you all the options when they arrive and we will recommend only the best but will work the solution you feel is right for you! We have a wide range of locks to cover various pricing options based on the individual’s requirements. Home security for your family is the most important thing in the world. If you have lost keys and you have no idea where its best to give out team a call so we can come out and assess the situation for you. Losing keys can make you a target and leaves your home unsecure, we highly recommend you take immediate action to fix this. Replace the locking cylinder for safety precautions. Duplicate keys on the spot to save you the hassle of ‘popping’ to a key cutting shop. Always upgrading to higher lock specification.